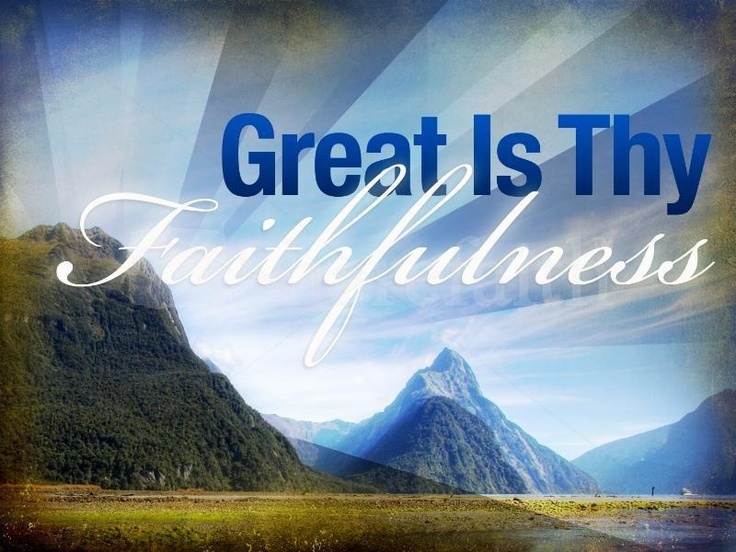 Great is My faithfulness, says the LORD. I Am faithful to you at all times. I never give up on you and I never leave you. I will never abandon My kingdom purpose in you or change My plans for your destiny in Me. I will complete what I have begun to perfection, says the LORD. My kingdom is within you, and My will shall be done in your life as you abandon yourself to Me and My desire for you and simply follow the plan that I have for you. I will make it plain and simple for you. It is not a complicate path that is set before you, but a straight way that is before you. I Am standing in the door, saying, “This is the way; walk in it,” says the LORD. Do not fret about how I will accomplish what I have begun in you. I know how to do it. I need no instructions and the opinions of man do not limit me or dictate to ME, says the LORD. I have made man; not the other way around, and I am in complete control of every person, place and thing. Nothing is out of MY reach, and nothing is complicated for Me to accomplish. Trust that I Am not bogged down by man-made red tape. I have no delays and nothing can hold me back from provisioning you as you entrust Me with our continual care, says the LORD.